Samsung Electronics Co., Ltd. on Wednesday unveiled a nearly 2,000-U.S.-dollar folding smartphone in a bid to break the innovation funk that has beset the smartphone market and reignite consumer interest in a massive consumer electronics category that had its worst sales ever last year. 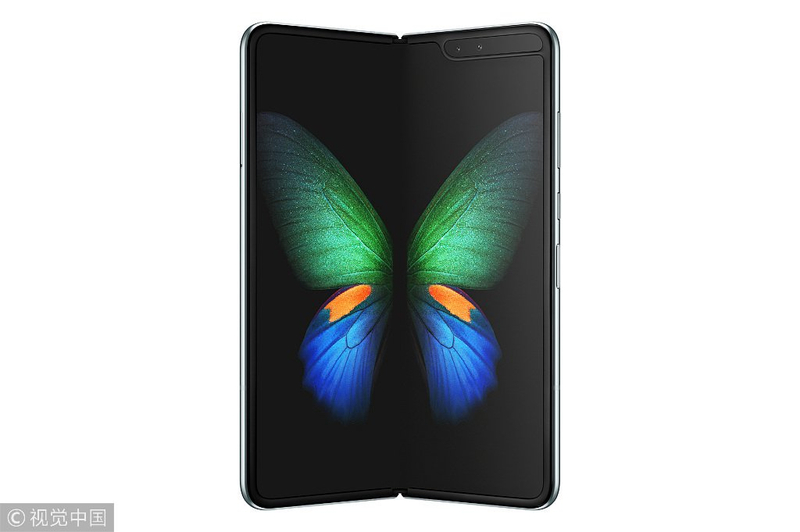 The Galaxy Fold will go on sale for 1,980 U.S. dollars on April 26 and take advantage of new and faster 5G mobile networks. The device looks similar to a conventional smartphone, but then opens like a book to reveal a display the size of a small tablet at 7.3 inches (18.5 cm). 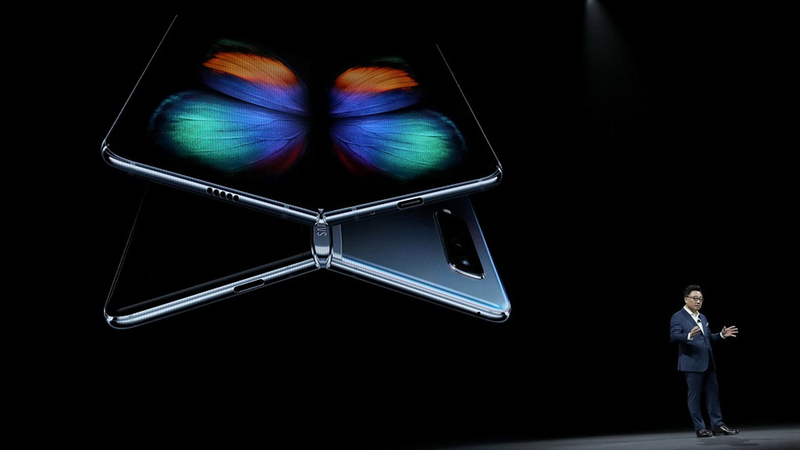 With the foldable phone, Samsung is trying to take the technology lead on two fronts in the smartphone race: offering an eye-catching new feature with the big, bending screen and the first 5G connection in a premium phone, a feature analysts do not expect Apple to match until 2020. Samsung is not the first company to launch a folding phone. World's first foldable smartphone, manufactured by the Shenzhen-based Chinese startup Royole, made its debut in China last November. China is also in a leading position in flexible screens, the key component for a folding phone. Last year, Chinese display manufacturer BOE has announced to start mass production of flexible screens and will rival Samsung in this market. Verizon Communications Inc. will be the first carrier to offer service for Samsung's 5G phones. The networks are expected to be 10 times faster than current ones, improving viewing of live news and sports events. The 5G smartphones, both folding and rigid, aim to beat major rivals Apple and Xiaomi Corp. to market with a next-generation device as Samsung defends a narrowing lead in global handset shipments, while Apple is not expected to release a 5G smartphone until late 2020. Rival smartphone makers are expected to announce 5G models at next week's Mobile World Congress (MWC), the industry's top annual event, in Spain. 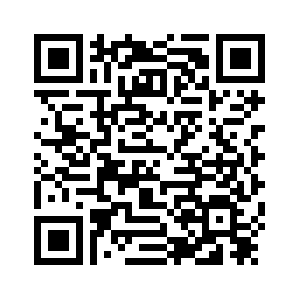 Samsung said its 5G handset would be available in the early summer. Samsung also introduced several accessories to compete against Apple, including a pair of wireless headphones called Galaxy Buds. The headphones include wireless charging, a feature that Apple has promised to put into its competing AirPods but has not yet released. Samsung also released new Galaxy S10 phones that echo the features in other recent models. 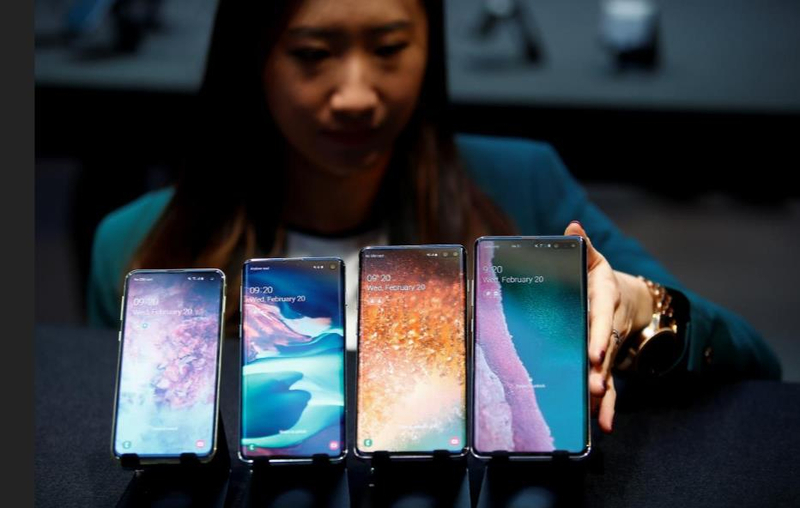 Each device in the S10 lineup boasts fancy cameras, sleek screens covering the entire front of the devices and at least 128 gigabytes of storage – all essential features to consumers shopping for phones. The new phones are able to take wider-angle shots than previous models and can charge other devices, including wireless headphones and smartwatches. A fourth S10 model, due out this spring, will have faster wireless speeds through the emerging 5G cellular network. Two of Samsung's new models, the S10 and the S10 Plus, are largely incremental upgrades of last year's S9 and S9 Plus, although they are designed differently. They are about the same size as last year's models but will have more display space, as Samsung found additional ways to eliminate waste around the edges. As a byproduct, the top right of the display has a circle or oval cut out for the front-facing cameras. The lowest-priced "essentials" model, the S10e, has most of the same features but is five percent smaller than the S10 in volume. The S10e also lacks curved edges, a signature feature for many Samsung phones. 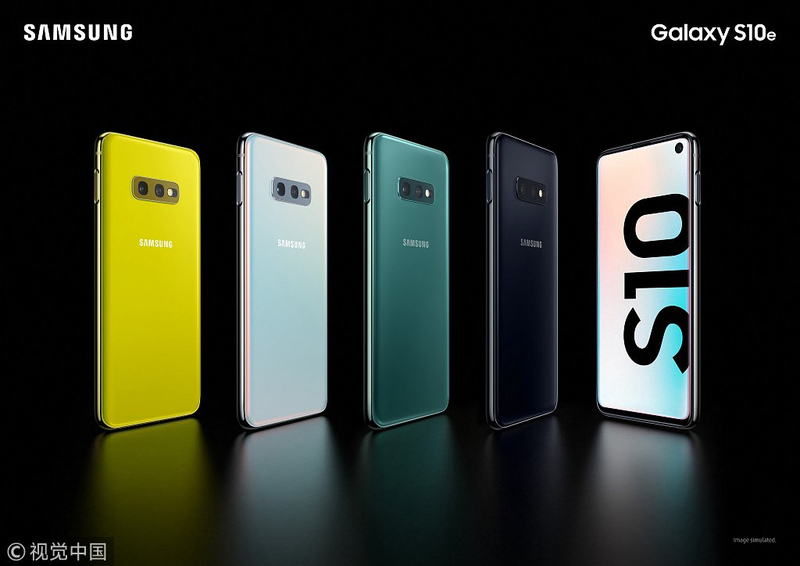 All of the Galaxy series of rigid phones except the 5G will be available from March 8, with the S10+ priced from 1,000 U.S. dollars, the S10 priced from 900 U.S. dollars and the smaller S10e from 750 U.S. dollars. The mainline S10 compares with 999 U.S. dollars for Apple's iPhone XS and 858 U.S. dollars for Huawei's premium Mate 20 Pro.